As I’ve written in a previous post (see Professional salesman?) we wanted the flag pole removed before we bought the lot but the seller didn’t want to cooperate with us. So, this weekend my brother-in-law and my father-in-law helped my hubby with finally getting it removed. 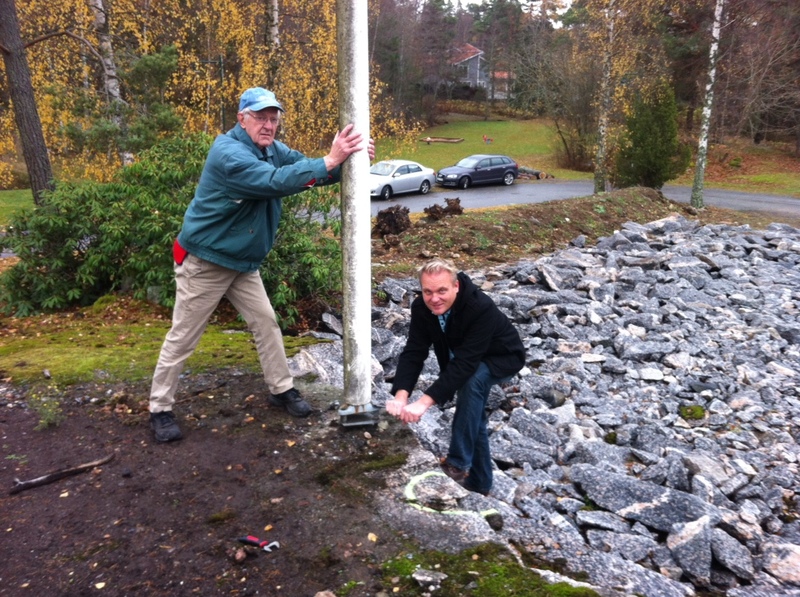 Our original plan was to try to give it away, but when they blasted in August (see 1.. 2.. 3.. Boom…) the top part of the flag pole fell off so probably no one who wanted it anyway. Now it’s laying in 4 pieces on the ground waiting to be thrown away at the dump site. 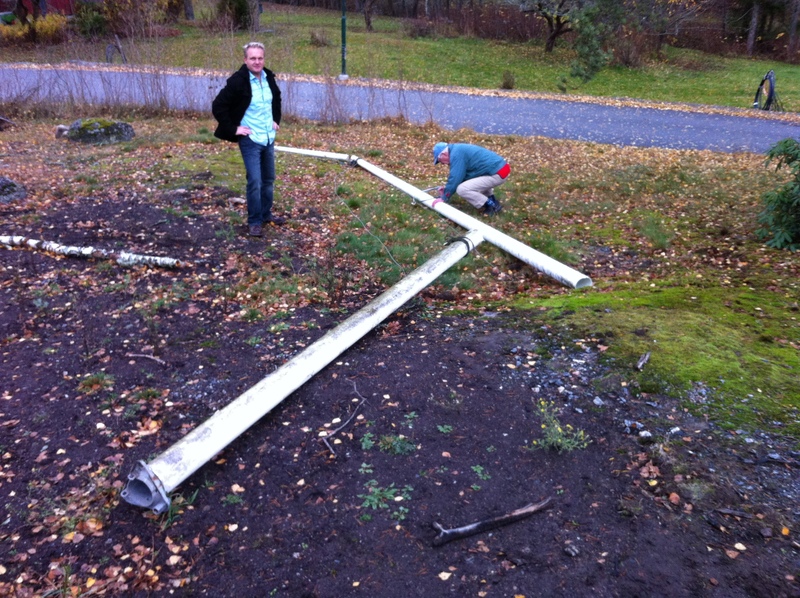 …and the flag pole has fallen down. 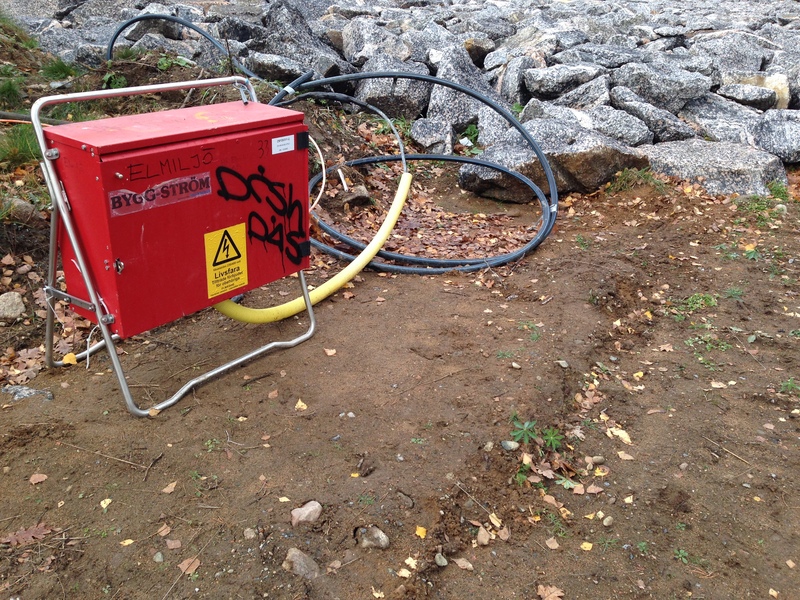 The electricity company have put in the “construction power box” so the contractors get to work. Next thing happening will be to get the hole drilled for the geothermal heating as well as the foundation fixed. Week 2 of 2014 is the preliminary delivery of the framing. We’ll have an exact date in a month or so.